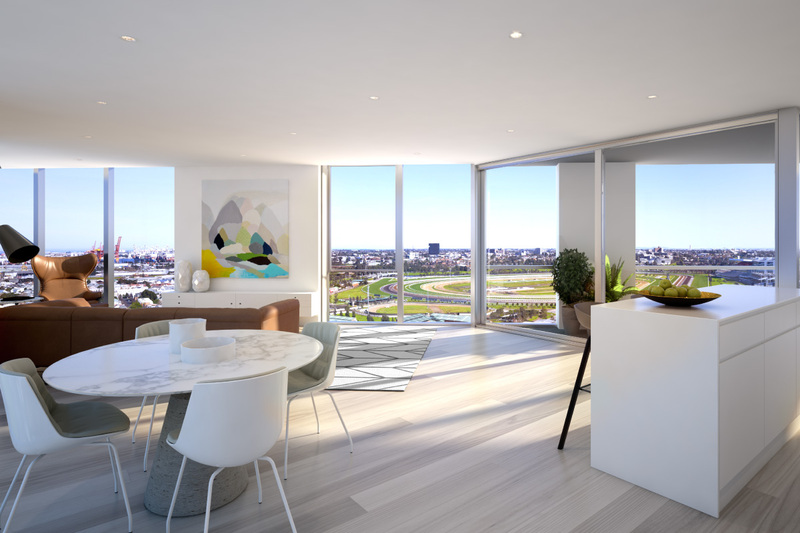 Set in a world-class location opposite the renowned Flemington Racecourse, ONLY Flemington apartments offer the best of Melbourne living, including top-notch views of the Melbourne Cup. Caydon Property Group has confirmed that a limited number of the highly sought-after apartments are still available in the new, 22-level residential tower. 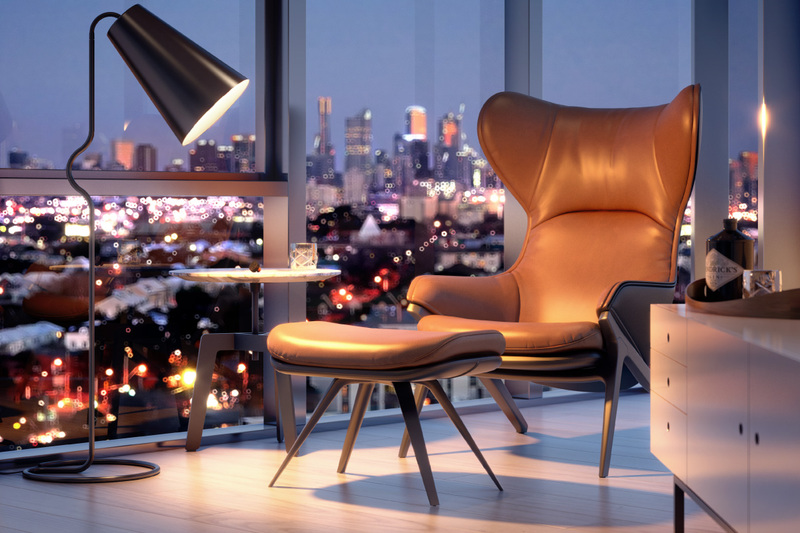 The remaining one and two bedroom apartments offer comfortable interiors, access to a range of luxury amenities and stellar views of Melbourne’s city skyline and the famous racecourse below. “With views like those on offer at ONLY Flemington, who needs a seat in the grandstand to enjoy all the action at Australia’s most famous racecourse?” said Caydon Principal Joe Russo. Crafted by Caydon’s in-house architectural team, the building’s three highly-detailed façades create an impression from any angle, adding to and respecting Flemington’s iconic and beautiful surrounds. Thanks to an open-plan design and expansive glazing, the apartment interiors are bathed in natural light throughout the day, highlighting the sophisticated finishes. Oak timber floorboards, which come in either a lighter or darker tone, benefit from the natural light too, bringing warmth and homeliness to the residence when illuminated. The kitchen is appointed with top-of-the-range European appliances by Baumatic and fitted with designer matte stone benchtops, resulting in a celebrated fusion of beauty and functionality. Finished with 2PAC cabinetry, the kitchen’s overall look is clean and sophisticated. Queen size bedrooms are spacious and contribute to the effortless lifestyle on offer at ONLY Flemington. Move into the bathroom and you’ll discover a spa-like aesthetic created through natural stone, slimline tiles and feature cabinet storage. If you’re looking for somewhere outside your apartment to enjoy the sights from, look no further than your very own building. 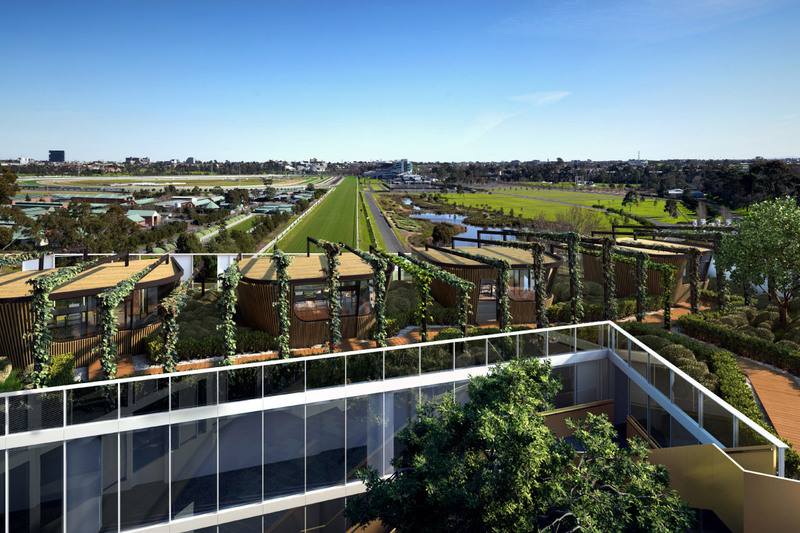 With incredible views overlooking Flemington Racecourse, the podium is crowned by an exclusive entertainment deck garnished with greenery and private pods, the perfect place to relax time and time again. “We deliver developments that stand out today but also stand the test of time.” commented Russo. 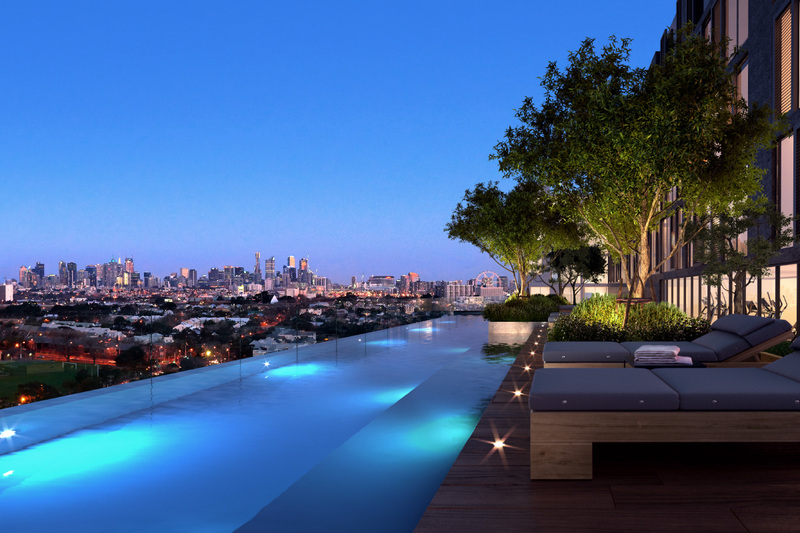 Climb higher still and you’ll happen upon the building’s hidden oasis, an incredible infinity pool and luxury sundeck overlooking Melbourne’s spectacular city skyline. It’s your very own personal sanctuary in the sky. 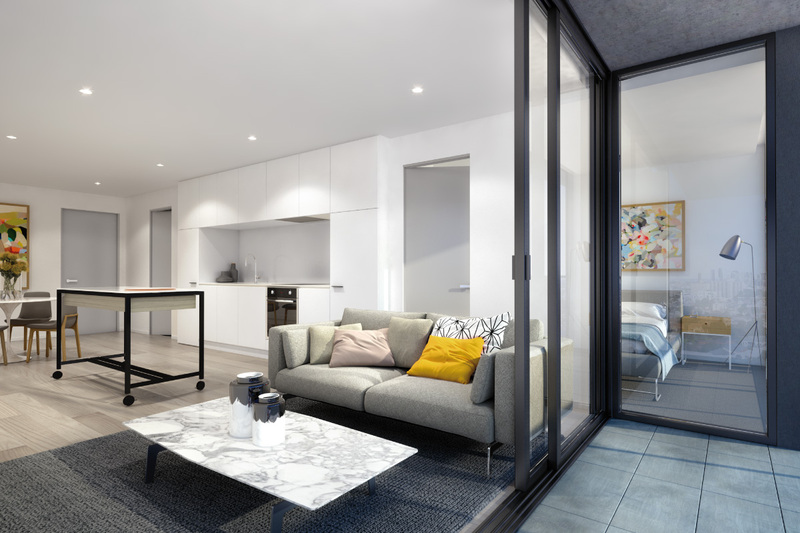 The joy of living at ONLY Flemington extends beyond relaxing in pools and soaking up views – you’ll also have access to a private, fully-equipped fitness centre located in the building. And for those days when you’re feeling particularly adventurous, there’s always the building’s games room with karaoke. Invite your friends round, warm up those vocal chords and head to centre stage. If you’ve had your fill of swimming and singing for the week, you’ll find that the Flemington neighbourhood below gives you access to the very best that Melbourne has to offer. From world-class sporting events to international fashion and entertainment, you’ll be spoilt for choice. Ascot Vale Leisure Centre is just up the road and premier shopping awaits just a short tram ride away at Highpoint Shopping Centre. Victoria University campuses are a quick 5-minute drive away and there are plenty of nearby parks and tracks along the Maribyrnong River to infuse your new lifestyle with a healthy dose of nature and outdoor activity. In terms of getting around, the 57 tram is right on your doorstep, taking you directly to the Melbourne CBD just 4km away. Or you can make your way to Newmarket train station, which is also within walking distance. Construction is now fully complete and apartments are ready for residents to move in. Allowing you to envision your life at ONLY Flemington, a furnished display apartment is now available for inspection. One bedroom apartments start from $425,500 and two bedrooms from $582,000. For more information or to enquire about ONLY Flemington, click here. 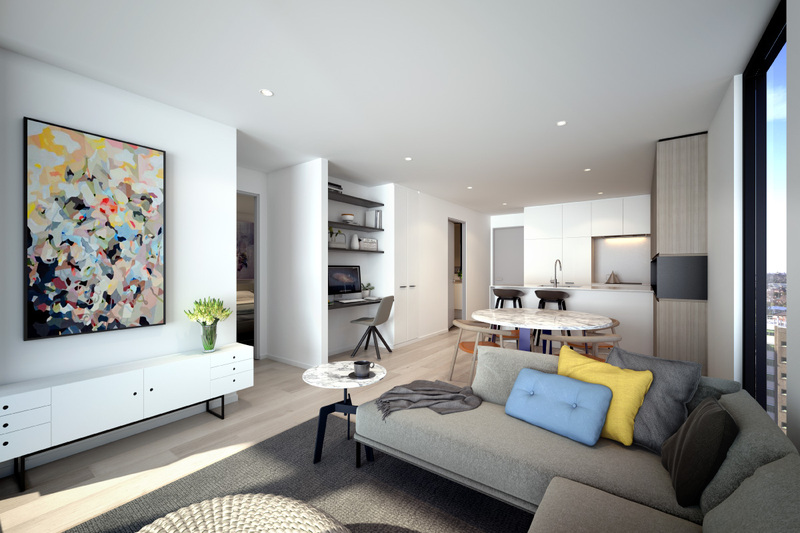 Discover more off the plan Melbourne apartments here.